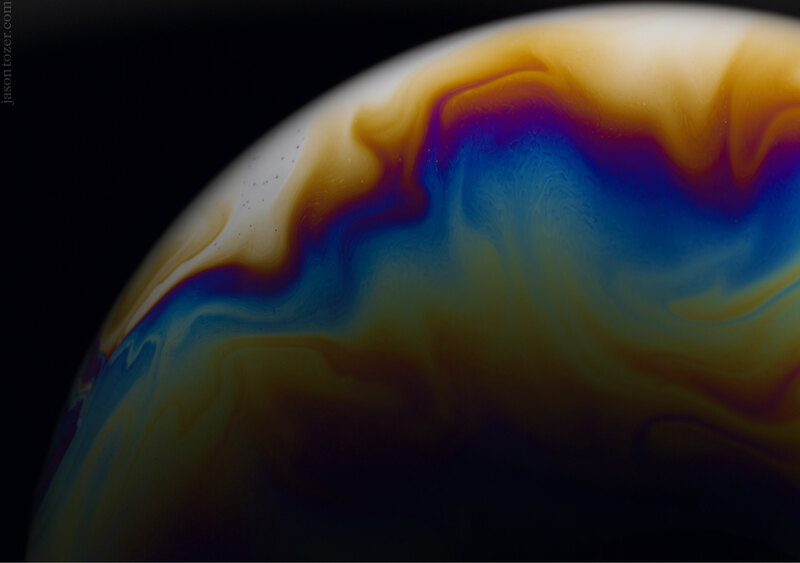 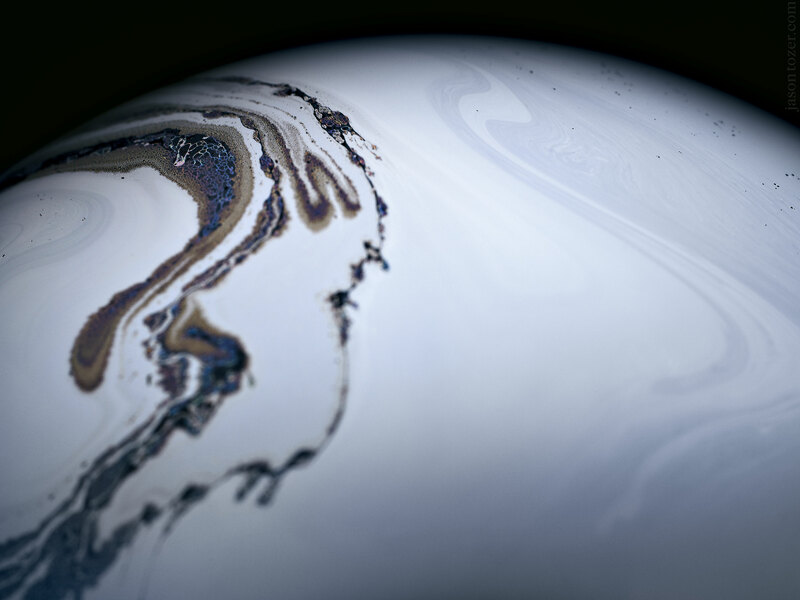 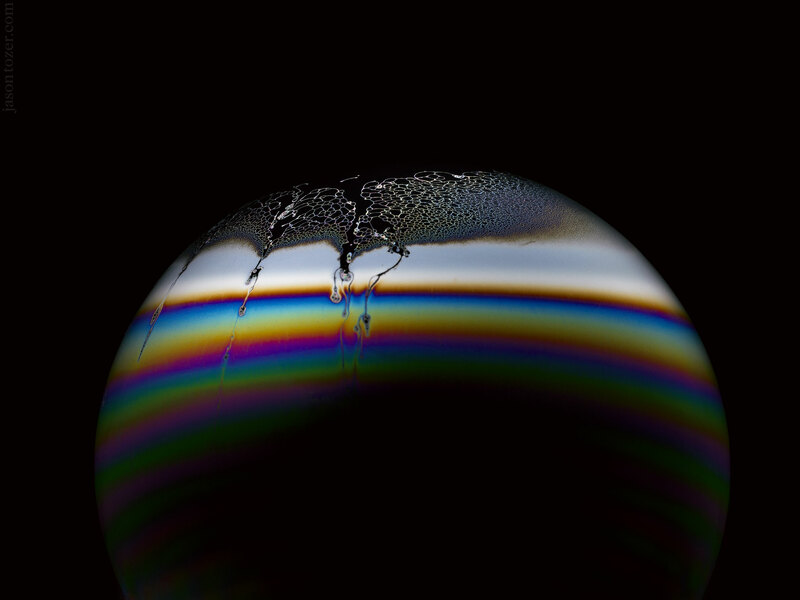 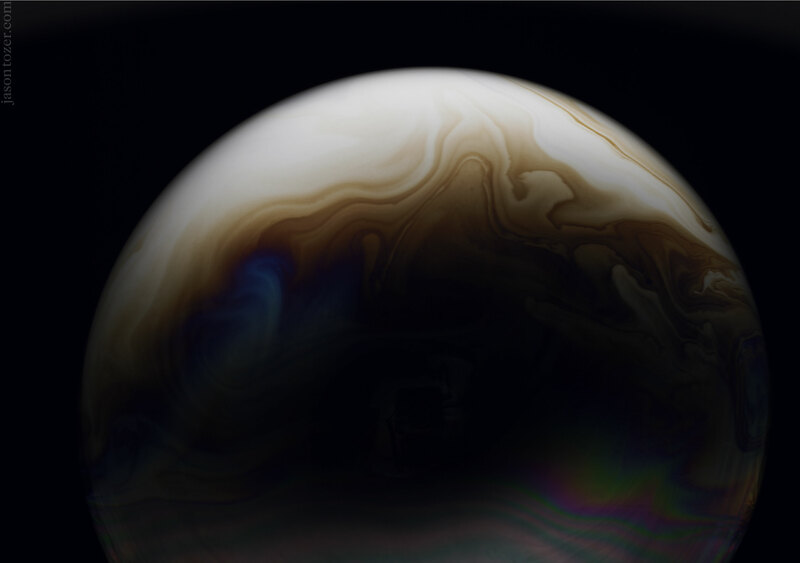 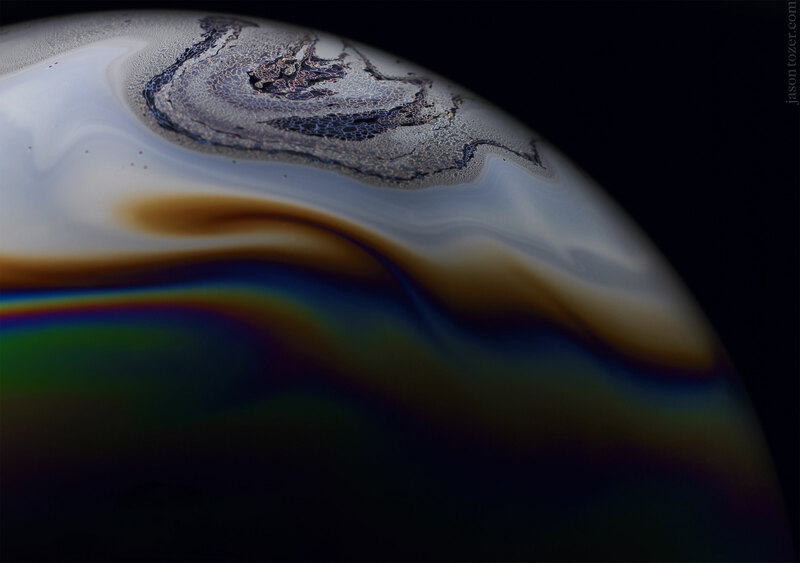 These stunning photographs are not of distant gas planets. 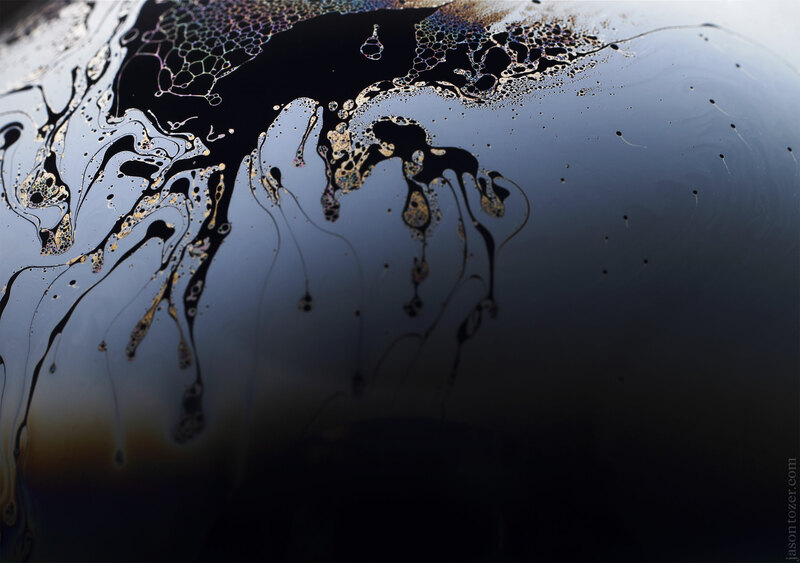 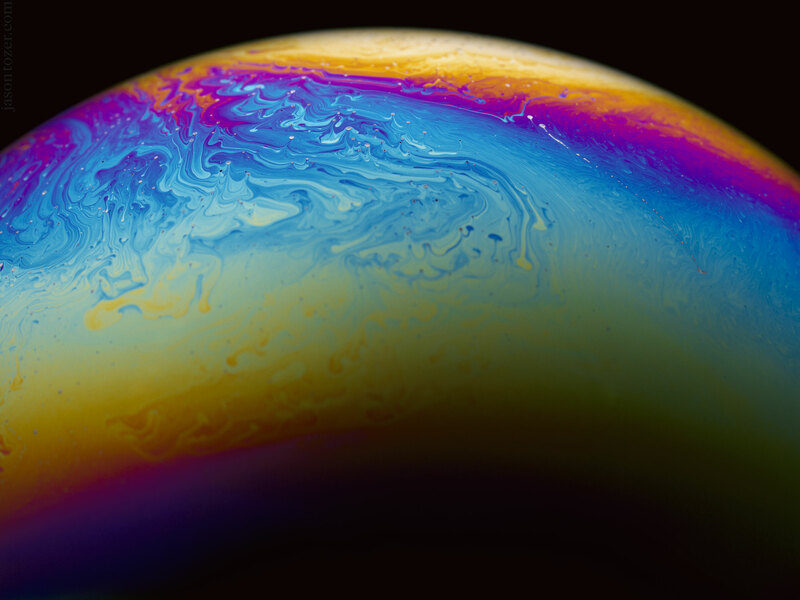 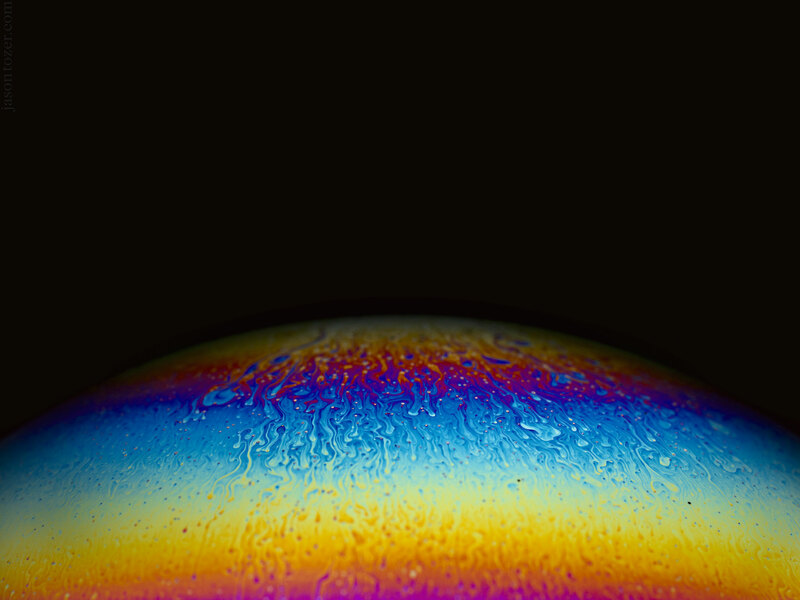 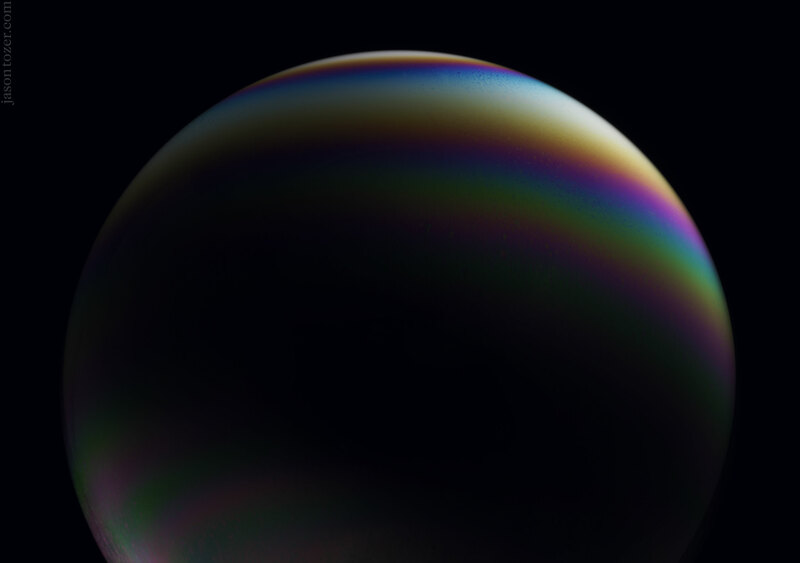 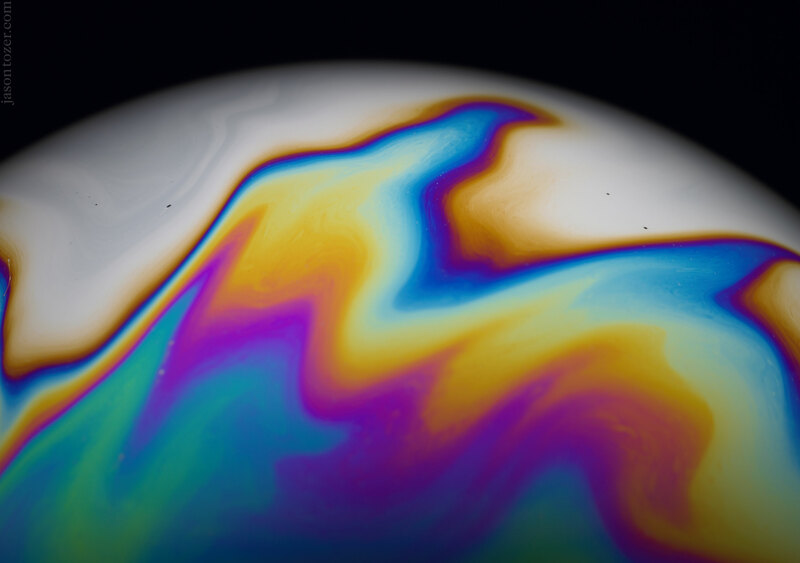 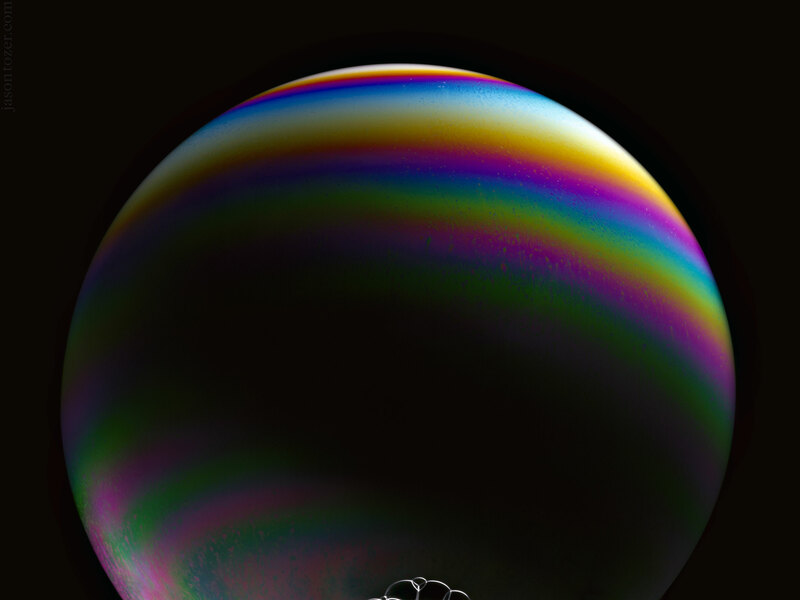 They are close-up shots of soap bubbles captured by photographer Jason Tozer. 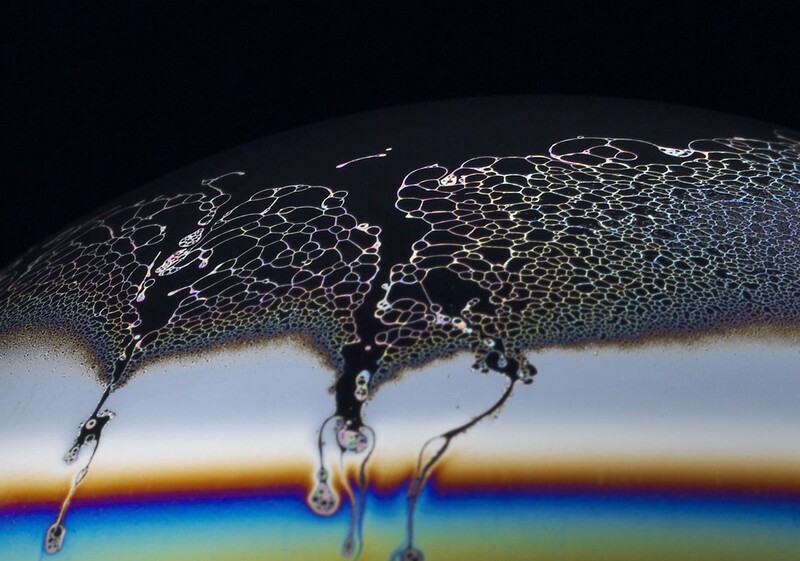 Tozer uses a giant dome of perspex to illuminate the reflective surface and blows through a straw to excite the surface of each bubble. 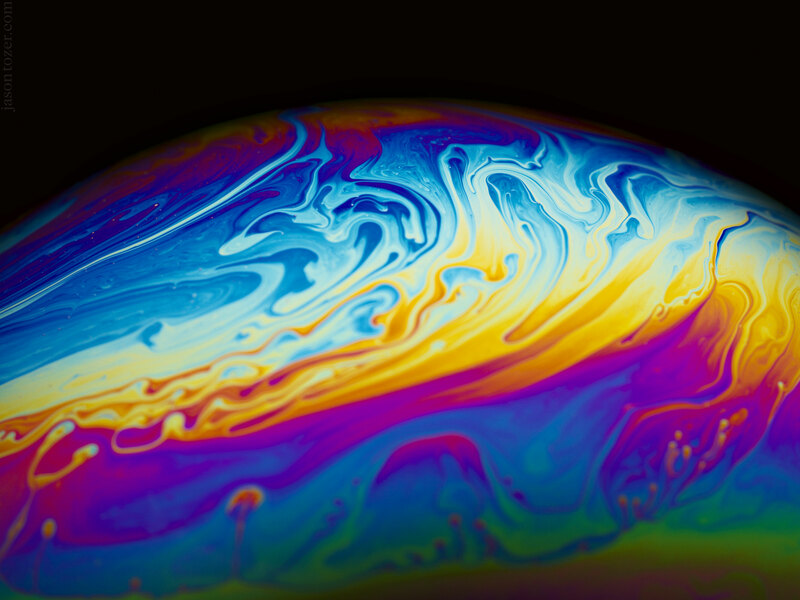 His bubble making recipe is ten parts distilled water, one part washing up soap, and a bit of glycerine. 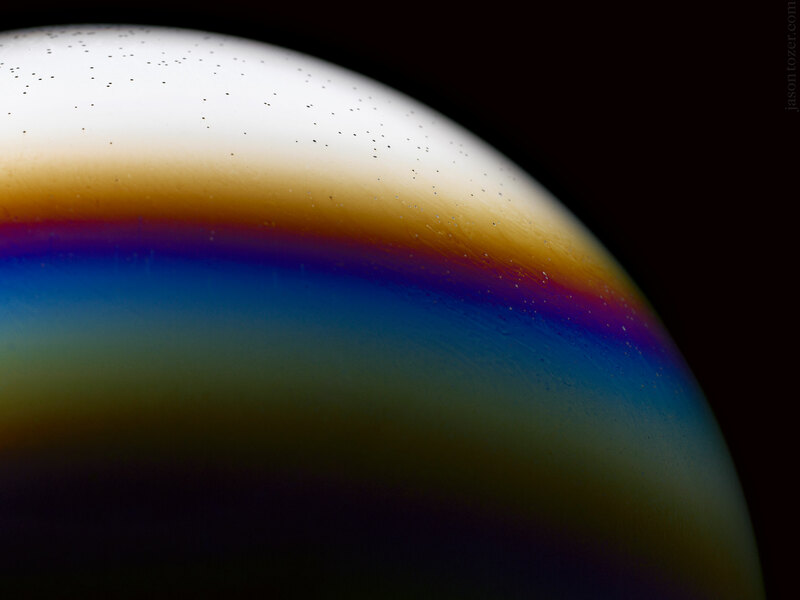 All of the colors and details are genuine as Tozer very rarely relies post processing or the use of filters. 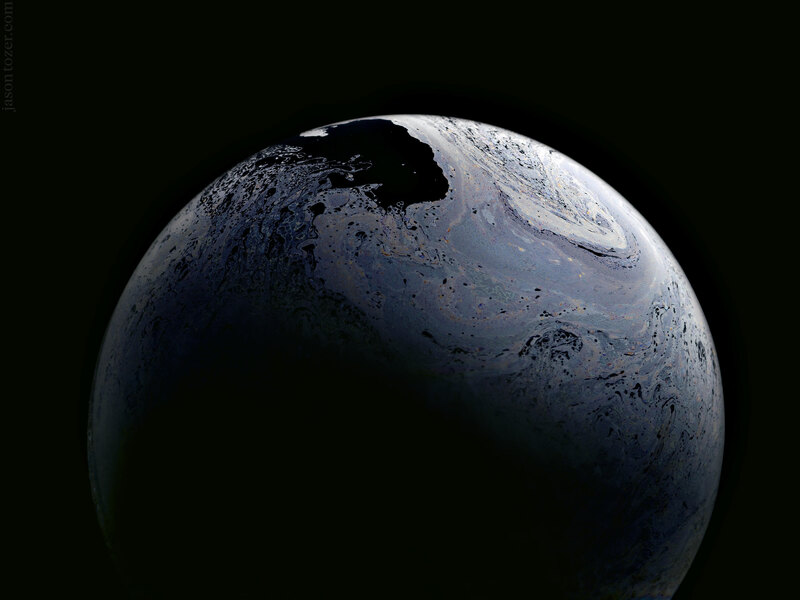 A bunch more very high-resolution shots can be found below.